Well, maybe not ALL about technology. However, increasing and implementation of new technology is a major focus of the district this year. As such, both the AEF and the PTA are working hard in support of this effort. 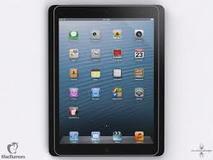 We are pleased to announce that the AEF and the PTA have joined resources together to purchase the first iPad cart for installation and use at Ardsley High School. 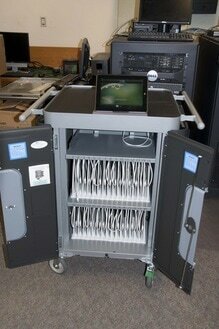 The cart, containing 30 iPads, provides security for the iPads and allows the district controlled and simple application installations. This purchase follows the implementation of a wireless network at AHS. The district plan is for wireless deployment over three years, next year at AMS and the following at CRS. Your donations and contributions help us to collect funds to support additional iPad cart purchases at each school over the next two years!! We’d like to bring you up to date on some of our recently funded items within the district. Teach the teacher programs at CRS and AMS, where our teachers were involved in instruction that they came back to teach our children and/or other teachers to further share that knowledge. Our first iPad cart at Ardsley High School!